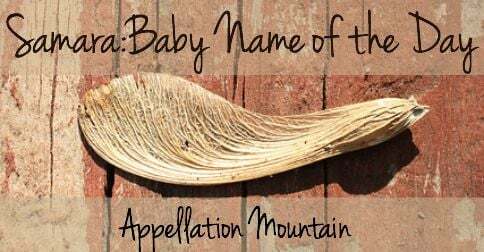 It’s a place name, a nature name, and a stylish alternative to the familiar Samantha. 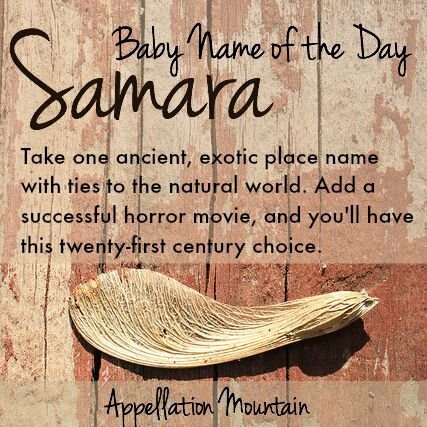 Thanks to Emilee for suggesting our Baby Name of the Day: Samara. Let’s go back to the ninth century BC, when the city of Samaria stood in the mountains of the ancient Kingdom of Israel. The name seems to refer to the city as well as the mountains, though I’ve also seen them called Shomron – watch-tower, but the names seem to be interchangeable. The ruins are now part of an Israeli national park. The city was eventually conquered by the Assyrian Empire. In 30 BC, Emperor Augustus gifted it to King Herod. It’s been known as Sebaste ever since. However, it was still Samaria when Philip the Evangelist preached there in the New Testament. There’s a Russian city known as Samara, where the Volga and Samara rivers meet. It’s Russia’s sixth largest city. (That’s the flag of the oblast – the county – which is also known by the name.) The city traces its roots to the fourteenth century, but the name seems to come from a Bronze Age people who lived near the Volga beginning around six million years BC. The Arabic word thamara – benefit. The Hebrew shamar – protect. France’s Somme River was known as the Samara in Latin. It comes from a Celtic word meaning tranquility, but the Somme is best known for the World War I battle that took place not far from its banks. There are also places by the name in Costa Rica, Romania, and Iraq. That last one probably takes its name from the Samarra people – not the same as the Russians as far as I know – who settled Mesopotamia around 5500 BC. If you’re a fan of Frank Lloyd Wright, you might know that one of his more modest projects was a home for a professor at Indiana’s Purdue University. The home was named Samara, for the winged seeds that you probably know as whirligigs, helicopters, spinning jennys, or similar names. Technically they’re winged achenes, a dry fruit with a wing that allows it to be carried far away from the parent tree. They’re found on elms, as well as other trees, but the name comes from a Latin phrase meaning fruit of the elm. This makes Samara a subtle nature name, and one of the more feminine arboreal possibilities. 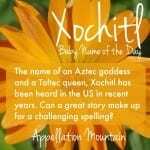 While this name may have ancient roots, as a given name, it’s pretty novel. 1949 is the first year that five girls were given the name in the US. It was 1997 before Samara appeared in the US Top 1000. The name peaked at #350 in 2006, which is familiar, but far from overused. In 2014, there were 450 newborn Samaras – again, it’s not unique, but it isn’t wildly out there. What explains the name’s popularity? 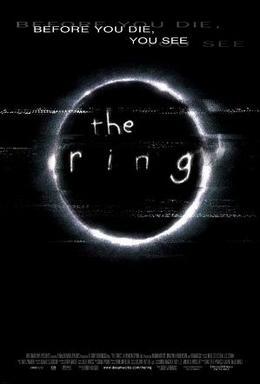 A wildly successful scary movie: The Ring. It’s based on a Japanese movie, with a character called Sadako – a name with a rich story of its own. Sadako has supernatural abilities, and she’s created a video tape. If you watch it, the only way that you can save yourself is by making a copy within one week. When it was remade in the US in 2002, Sadako became Samara. In 2002, there were 242 newborn babies named Samara. A year later, the number nearly tripled to 656. Overall, this name feels like an intngguing option in 2015. It’s exotic, but shortening it to Sam – or Mara! – makes it wearable. And despite the popularity of The Ring, there’s history galore to make this choice very wearable for a daughter today. What do you think of Samara? Do you associate it with the horror movie? I know twin boys named Shamar and Samari. There’s also the Samaria Gorge on Crete, but it’s name derives from Ossa Maria, the name of the village’s ancient church. This name checks so many boxes for me, and I feel like I should love it…but The Ring! Even as VHS tapes get phased out, that movie freaks me out to this day. I dunno what it is! Needless to say Samara is likely off the table for that reason alone 🙁 But I encourage all non-chickens to use it! I know what you mean, Hettie! My husband and I saw the movie in the theater one afternoon on a whim. (We were still dating – it has been a long time, right?) And I was terrified and kept wondering what I was thinking! So … that sort of makes Samara a no for me, too, but I actually knew a lovely Samira before this – different name, different origins, but it saves Samara for me, at least a little. I have long loved this name! Feminine but not frilly – one of my favorite categories. 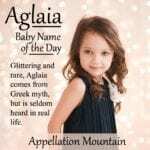 The nickname possibilities are a plus for parents who want that in a name. It would also be a great way way to honor a Sara(h) or a Mary/Maria. Oh, it *is* kind of a Sarah-Mary smoosh, isn’t it? Nicely spotted!